We are back for 2017. 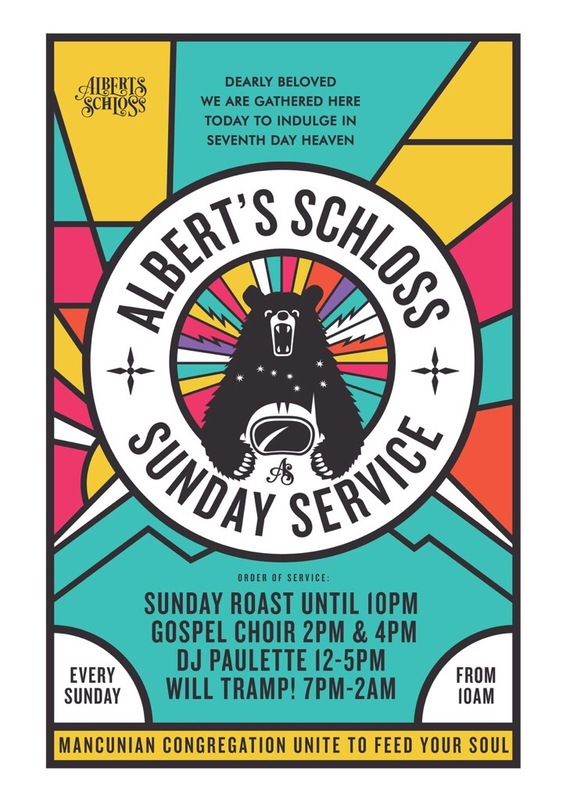 Sunday’s just got spiritual with Albert’s Schloss’ weekly ‘Sunday Service’. It’s a heady mix of the best disco, funk and soul music with a love injection of a live gospel choir, brunch and roast dinner on the menu and Paulette and Will Tramp on the decks from midday until 2am. Come early – doors open and 10am we close at 2am and we are full every week. Eat. Drink. Get Lifted. Entry is free. Roast is available until 10pm.